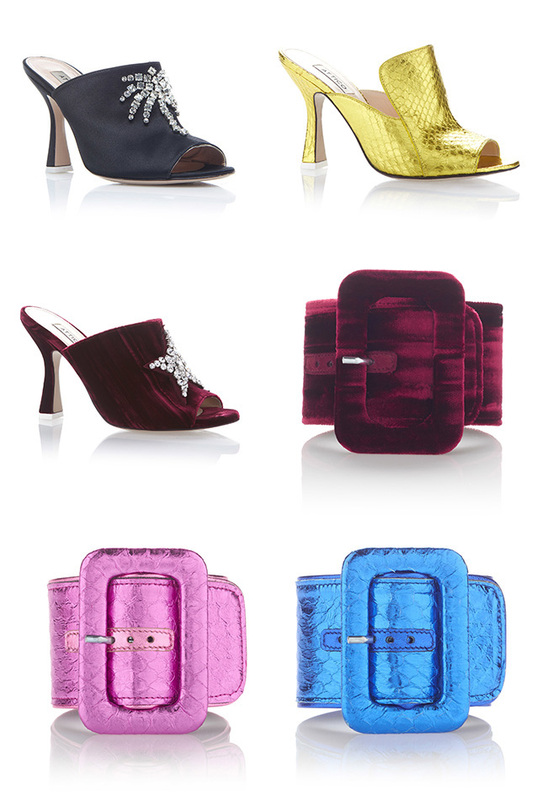 It started months ago but mules are having a major moment and it’s only getting better with time. As yummy and as addictive as cotton candy, designers have stepped up (pun intended) their design game and spun all kinds of new magic with amazing embellishment. You know I am just a damn fool and a sucker for anything that sparkles (and vehemently deny it to no avail) so I can’t resist these for Spring. I’ve picked my favorites which are selling out like cotton candy at a street fair and best of all are perfectly paired with denim or a dress up moment. One last style tip. Neutral polish for your toes. Let the shoes make the entrance. Repeat after me. 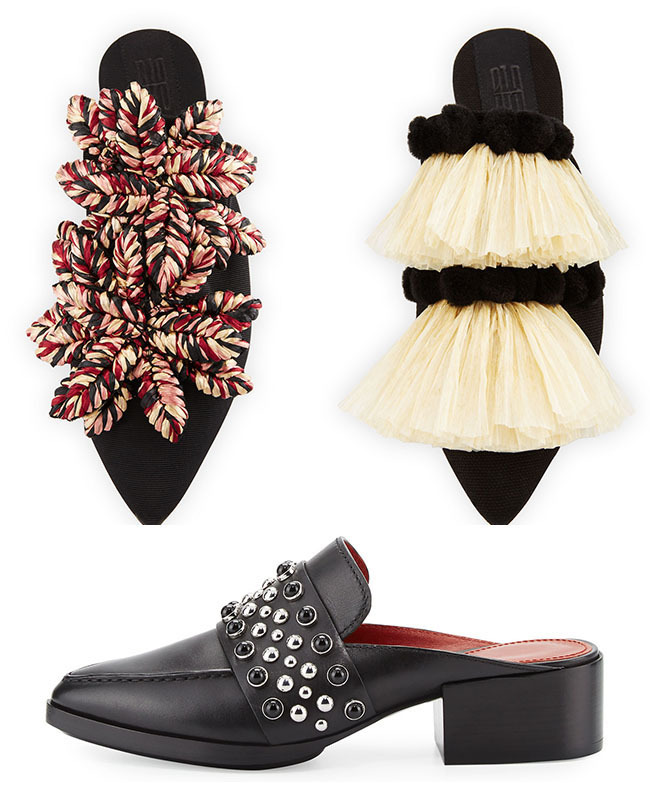 Bow mules. 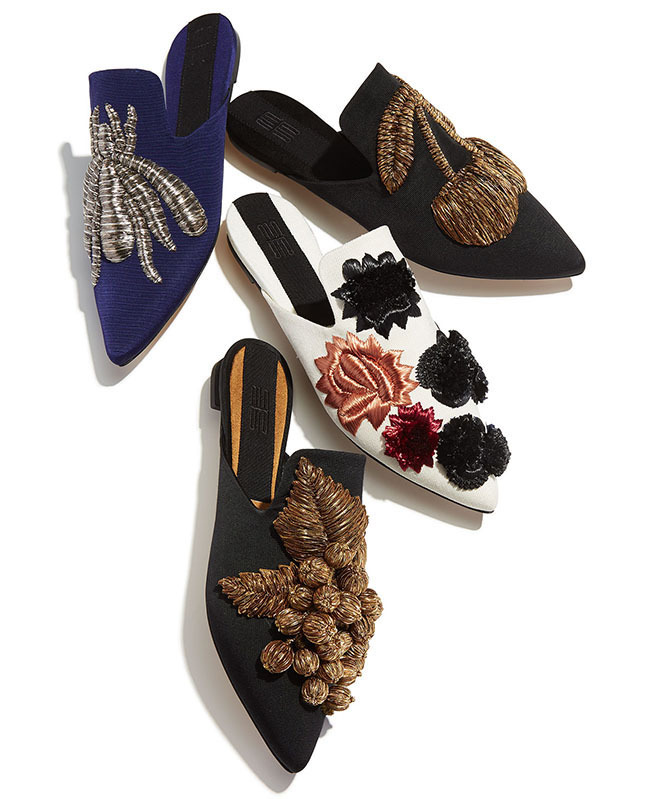 Bow Mules. Seriously, if you don’t know No. 21 and their bow mules, you should. Satin. Canvas. Gold. Silver. Metalllics. Embellishment. Enough said. They’re the leader of the pack. 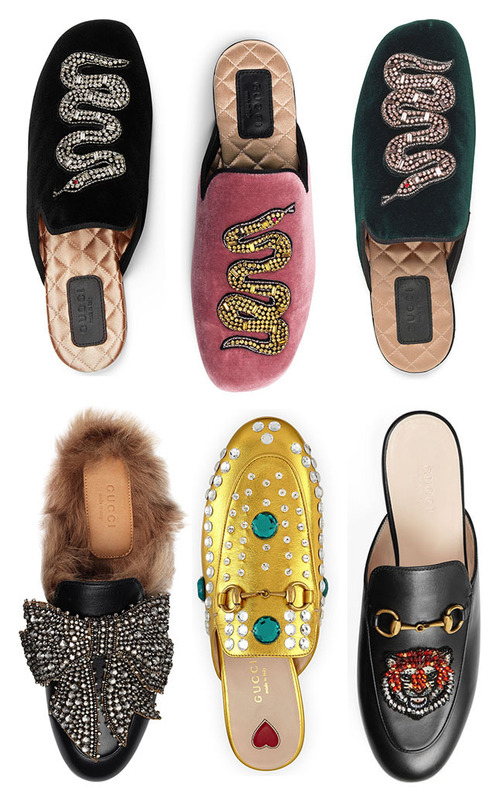 In almost a dead heat for first place, Gucci really kicked off the obsession and has me fainting over their velvet mules with statement snakes and bows accented with the comfiest fur for padding around the sidewalks of Beverly Hills or anywhere in the world. Can’t go wrong with any one of these forever slides. Who? Oh so summery, Sanayi313 mixes raffia with unique materials for a totally fresh and very plush look. Plus you can’t go wrong with basic black and a touch of color. If you want something more utilitarian then 3.1 Philip Lim has the perfect studded block heel mule. Italian designers Giorgio Tordini and Gilda Ambrosio (who I personally met at a Net-A-Porter LA bash) are suddenly fashion golden girls and can do no wrong in my book. I am already swooning over their Fall 17 Attico collection. I don’t mind if I do slip into one of these beauties. 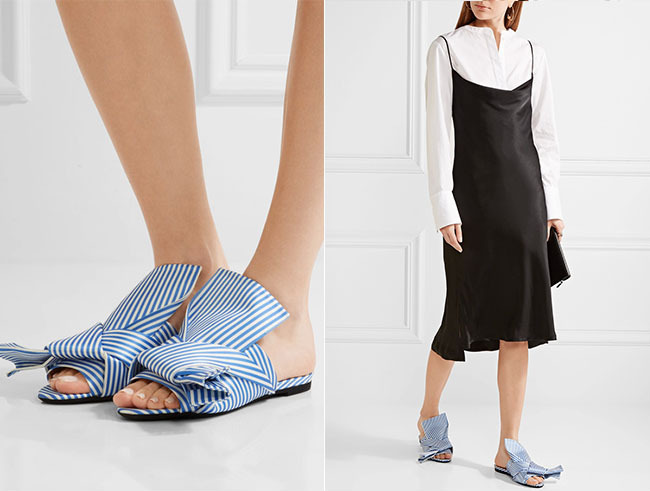 They even have a separate go-to ankle strap that can also be wrapped around the shoe. Click your heels three times. Attico. Attico. Attico.